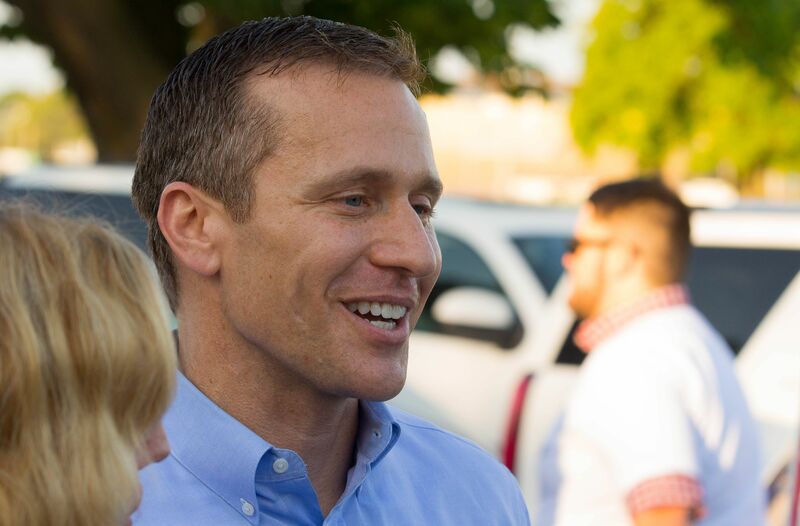 Today the Missouri House Special Investigative Committee on Oversight issued their second report, on campaign finance law violation(s), in the investigation of Missouri Governor Eric Greitens (r). 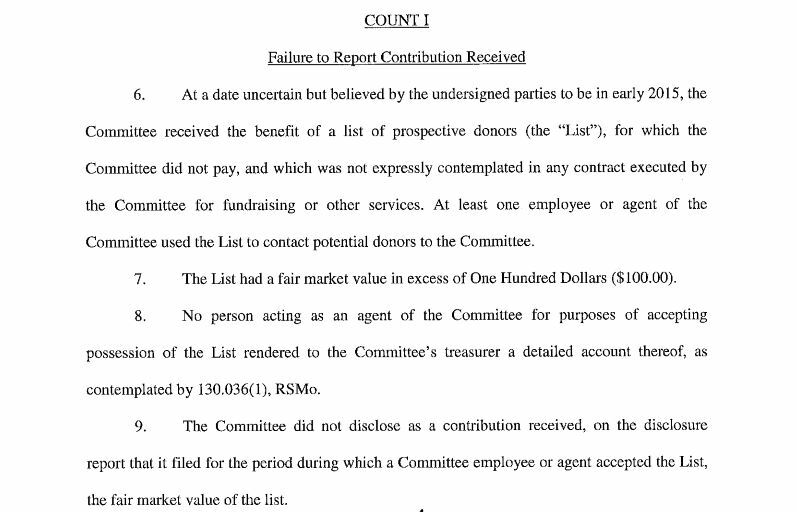 All seven members of the committee, five Republicans and two Democrats, signed the report dated April 24, 2018. Remember that date. 92. Laub testified that if Chambers had not misled him that he “would never have agreed for it to be perceived or otherwise that I in-kinded a list that I did not in-kind.”141 Laub testified he would have never authorized Chambers to use his name as someone who donated the list “because that’s untrue.”142 Further, Laub testified that the TMC list was not donated to the campaign on March 1, 2015.143 Instead, he testified that nothing happened with the TMC list on that date. It’s never the act, it’s always the cover up. 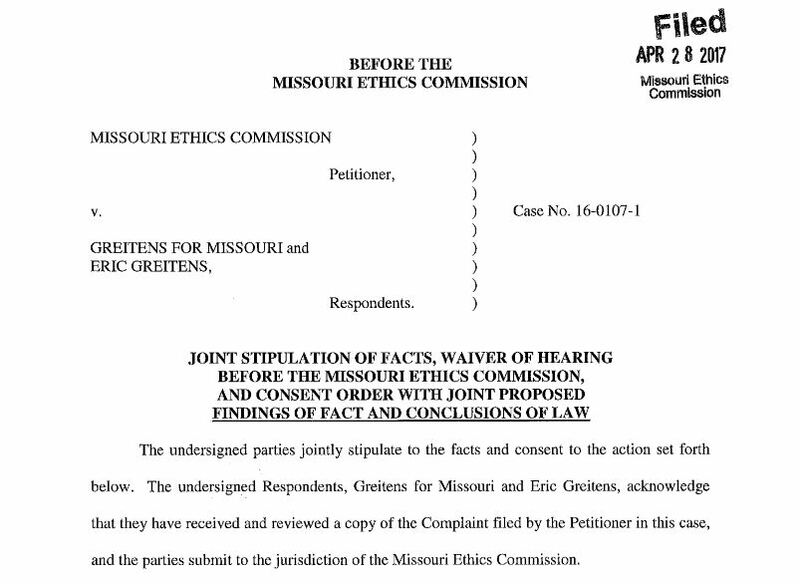 Eric Greitens (r) signed [pdf] that consent order with the Missouri Ethics Commission on April 24, 2017. Oh, my. Symmetry. It is the act in this case.